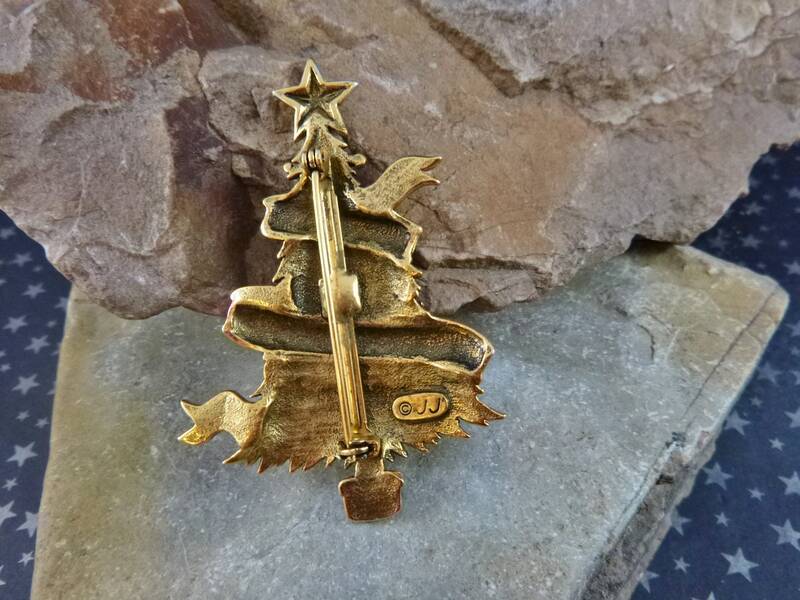 This vintage Christmas tree brooch is encircled with a large red ribbon and the message: “Merry Christmas.” On the back is the maker’s mark © JJ slanted in a rectangle. 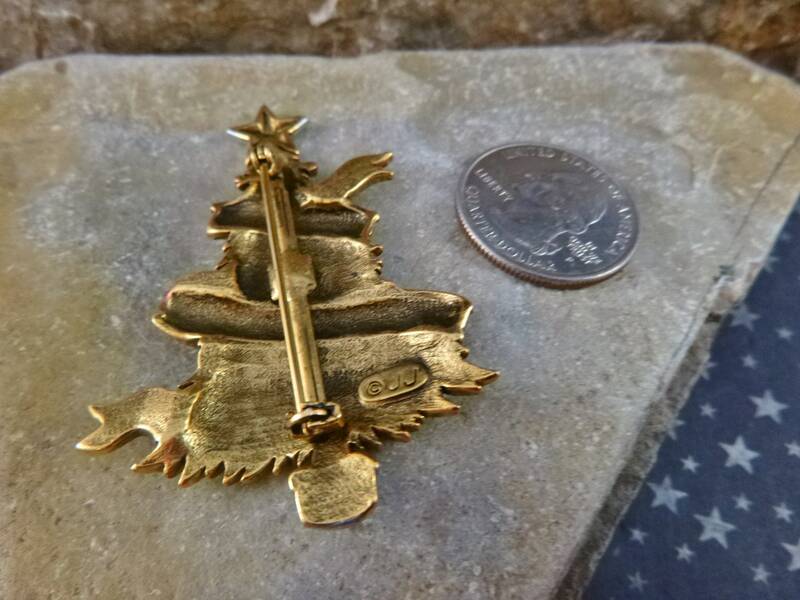 That copyright designation of the Jonette Jewelry company was used in the 1980s and often associated with Artifacts line. 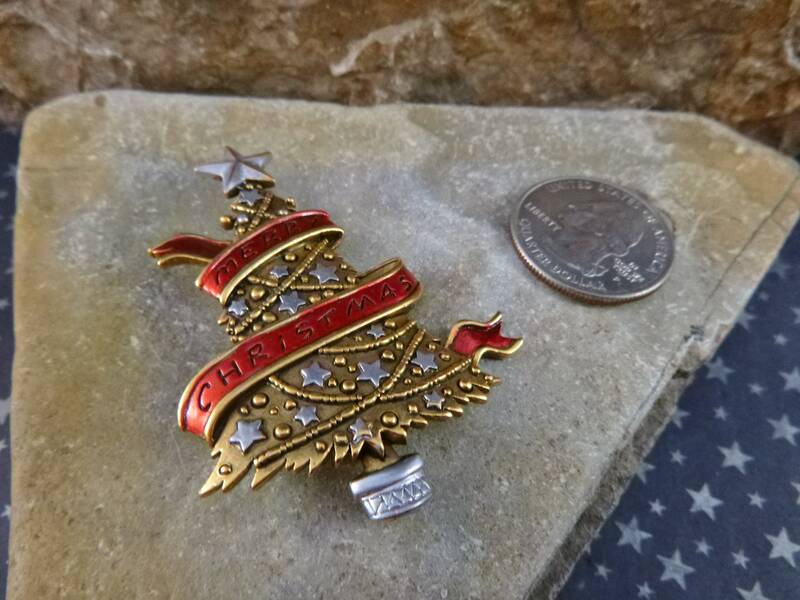 This piece is from that time period. 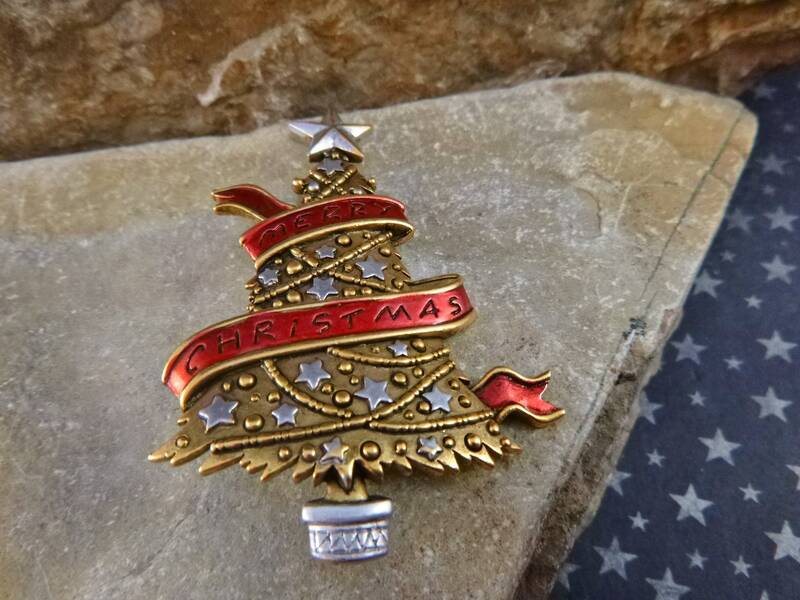 The tree is pewter with an antiqued gold tone finish giving it have a mixed metal appearance, with pewter stars. 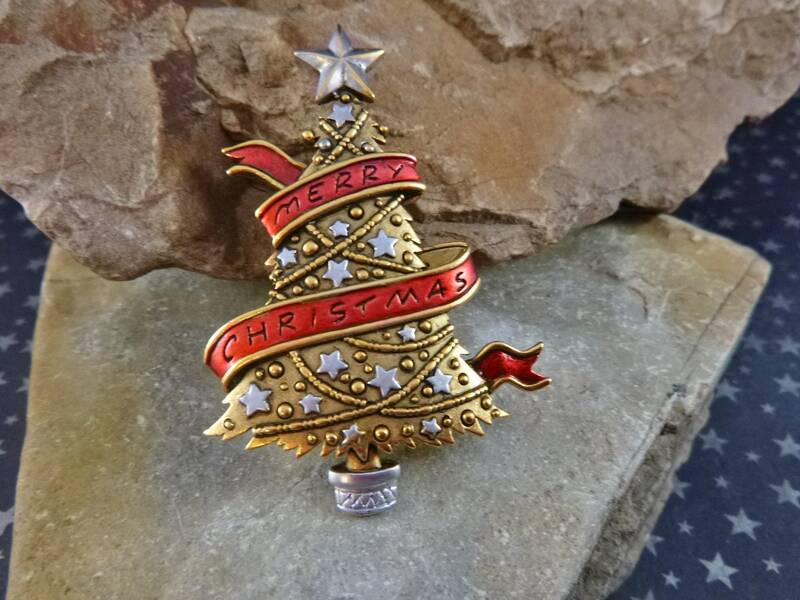 It’s in very good to excellent vintage condition showing limited wear. 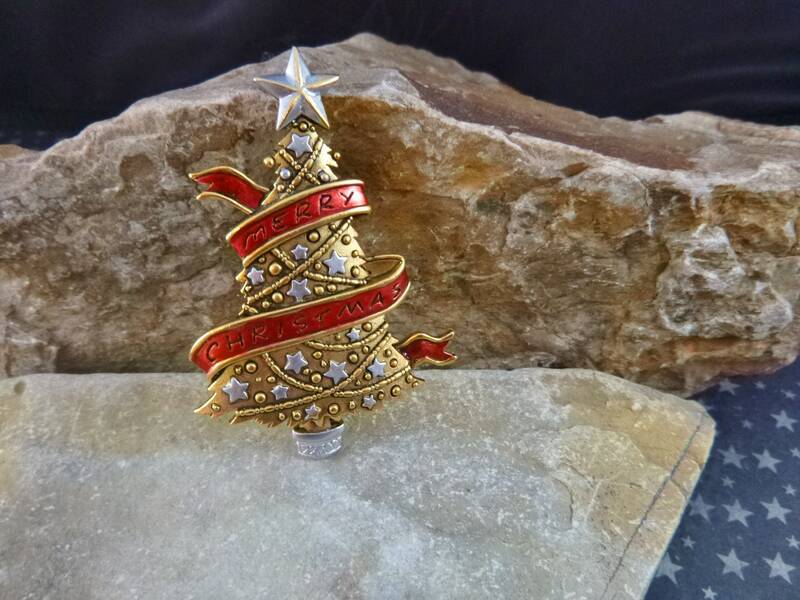 The colors are bright with a strong and secure pin and clasp. 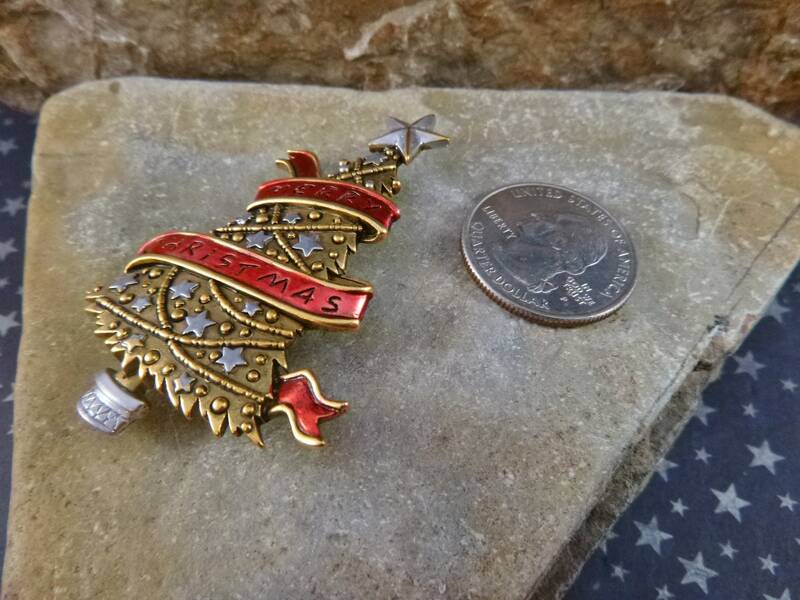 This cheerful holiday message pin measures 2.5” tall and is 1.75” wide and comes with a sense of Christmas spirit. 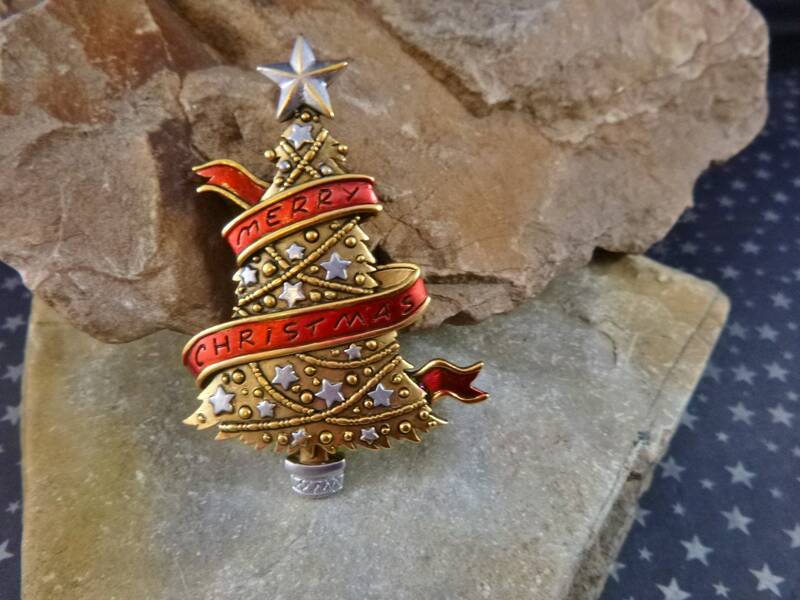 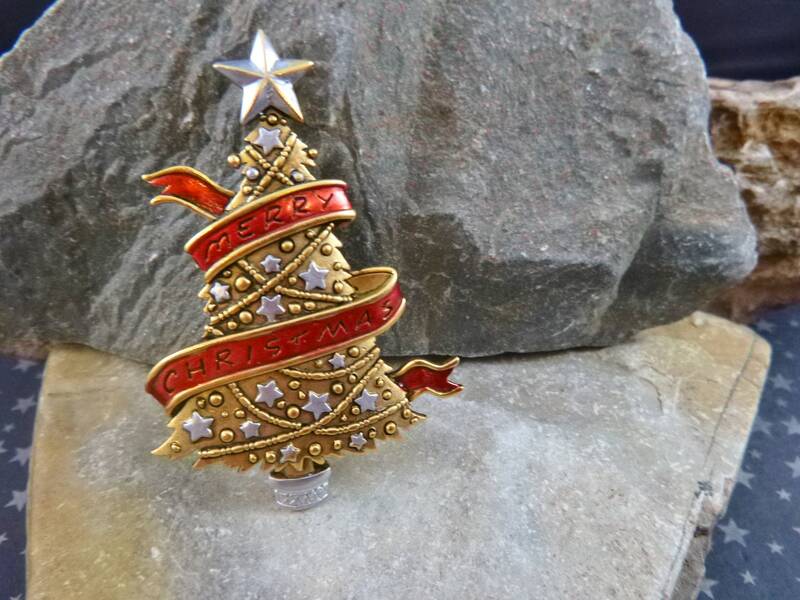 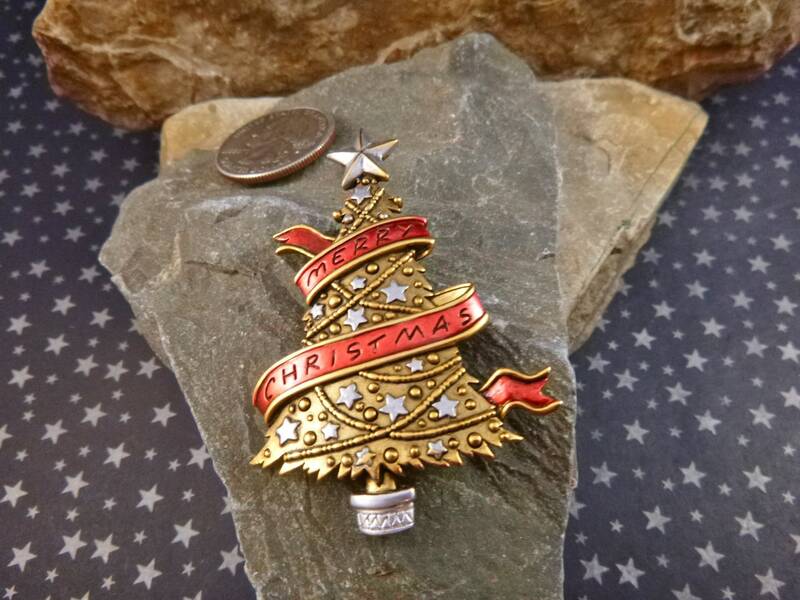 The pictures offer greater perspective on the vintage condition and delightful nature of this Merry Christmas tree pin.